OUI DUI Drugs Category Archives — Massachusetts DUI Lawyer Blog Published by Boston, Massachusetts Criminal & DUI/OUI Defense Attorney — Stephen Neyman, P.C. OUI drugs in Massachusetts is a crime not often prosecuted. Police officers will make a stop of a vehicle based on their observations of operation or a report or erratic driving. Just after making the stop the officer will contact the operator. They usually ask for a license and registration and make some comment about the reason for the stop. During this initial encounter the officer makes observations about the driver. He looks for signs of intoxication. Alcohol intoxication. The typical patrol officer is trained to look for objective manifestations of impairment, unsteadiness of one’s feet, slurred speech, the inability to respond to simple commands and of course the odor of alcohol. Few are trained to look for indicia of drug impairment. This is why you rarely see OUI drug cases being charged in Massachusetts. When you do they usually cannot be proved. As a Massachusetts OUI defense attorney, I was interested in a recent article in the New York Times about the challenges of convicting persons charged with driving under the influence of prescription drugs. The article describes accidents that occurred in New York, Maine and Wisconsin, in which people under the influence of prescription drugs including opiate painkillers, Ambien and Xanax allegedly caused serious, fatal accidents. Under Massachusetts law, charges of driving under the influence of prescription drugs can complex to defend against, because while it is illegal to drive after taking some prescription drugs — “narcotic drugs, depressants or stimulant substances” — other commonly prescribed drugs are not in these categories. But the complexity of the law also offers great opportunities for a Massachusetts intoxicated driving defense lawyer to mount a strong defense against these charges. When someone is charged with operating under the influence of alcohol, police often use their own observations and field sobriety tests, in addition to a blood-alcohol concentration obtained by a breathalyzer or blood test. When someone is charged with OUI drugs, however, these sources of evidence are not reliable in the same ways. Proving that someone driving under the influence of prescription drugs is impaired is different from showing that they were driving under the influence of alcohol. Field sobriety tests — which are unreliable anyway, as I’ve discussed recently — don’t necessarily work for prescription drugs the way they do for alcohol. Police are looking for the same kinds of impairment in all drivers they suspect of being drunk, but different prescription medications can affect different drivers in different ways. Where anti-anxiety drugs can slow someone’s reaction time, stimulants can encourage risk-taking and impair someone’s ability to judge distances. Of course, a breath test is unable to detect intoxication by prescription drugs. A blood test can show the presence of prescription drugs in someone’s body, and if the drug is included on the state’s list of drugs that it’s illegal to take before driving, then any amount of it in your blood is enough for an OUI drugs charge, even if it was legally prescribed. However, if the prosecution cannot establish that it’s illegal in our state to take the drug at issue and then drive, it has no case. 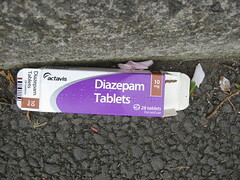 Many prescription drugs fall outside the categories listed in Massachusetts law — for example, sedatives and sleep aids such as Ambien, or other unclassified prescription drugs like the anti-anxiety medication Xanax, and the anti-seizure medications Neurontin, Lamictal and Topamax (which is also used to prevent migraines). An experienced Massachusetts intoxicated driving defense attorney can find several ways to defend charges of driving under the influence of prescription drugs. First, if the client is accused of driving under the influence of a drug that’s not on the list of illegal substances in Massachusetts state law, there is no illegal conduct. An experienced attorney will argue that the charges must be dropped in this situation. Second, an attorney can challenge any physical evidence that the police collected. Did a blood test show that the client actually had any drugs in his or her body? If there are results showing the presence of prohibited drugs, did they show enough of the substance to impair the person’s driving? Could the person’s body have metabolized the drugs more slowly than the medication’s label indicated, so that the drugs remained in their system longer than expected? Also, the prosecutor in such a case must obtain expert testimony from a Drug Recognition Expert (DRE) to establish that the drug involved violated the law. A Cambridge man, 47-year-old William J. Walker, faces OUI and other charges after allegedly nearly striking a police officer with his car just before Memorial Day weekend. Police said that Walker was driving his white 1997 Chevy Lumina up to the intersection of Brattle and Appleton streets in Cambridge, where a police officer was working a detail while wearing a bright green detail vest. The officer put up his hand to indicate that Walker should stop, but the Lumina didn’t stop until the officer yelled at him and jumped out of the way. Walker then allegedly slammed on the brakes and stopped. The officer approached the car, asked Walker if he was okay and whether he was on any medications. Walker said he was not, and the officer noted that his face looked “droopy” and he had glassy, watery eyes. When a second officer arrived, he asked Walker to step out of the car, frisked him, and reportedly found many medications that Walker said belonged to his father. Walker later admitted to having taken a narcotic that day, and police had him perform field sobriety tests. They noted that his body trembled and swayed during the tests. Walker was charged with operating a motor vehicle while under the influence of alcohol, negligent operation of a motor vehicle, operating a motor vehicle with license restriction and possession of a Class B substance. In my experience as a Massachusetts drunk driving defense attorney, police and prosecutors often don’t take kindly to a suspect who could have hurt one of their own. For that reason, I hope Walker gets experience representation to handle his OUI and other charges. The first police officer was undoubtedly shaken up by nearly being hit by Walker’s car, and it would not be surprising if his colleague who arrived later was also upset by the near-miss. The article doesn’t note whether Walker was asked to take a breath or blood test. As a Massachusetts OUI defense lawyer, I would question the results of their field sobriety tests if these form the only basis for the intoxicated driving charge. These tests are notoriously subjective — they can be hard for some people to perform even if they aren’t intoxicated, and the results depend on the police officer’s personal interpretation of how the person being tested behaves. If Walker had any kind of medical or even emotional condition that could cause his body to tremble and sway when being questioned by the police, after nearly having an accident, that could have affected his performance in the field sobriety tests. As Walker’s case winds its way through the court system, his Massachusetts intoxicated driving defense attorney could argue persuasively for a dismissal of the charges or win a not-guilty verdict by challenging the field sobriety tests. Police say a 52-year-old man caused an injury accident Jan. 16 by driving under the influence of powerful painkillers. Joseph Kaizer is accused of hitting a mother and her 14-year-old son, who were crossing the street after leaving a relative’s funeral mass. The young man was treated for two broken wrist bones and a knee injury and released, but his mother was hospitalized overnight with unspecified injuries. Kaizer, who had his 11-year-old daughter in the vehicle, admitted to crushing and injecting methadone in the past, but denied having done it that day. Nonetheless, police observed track marks on his arms and legs. Police searching his car found two empty bottles of methadone and 23 pills of clonazepam, a muscle relaxant, along with 23 needles and two spoons with residue. Kaizer is not accused of drinking alcohol, a fact that could actually help a Massachusetts OUI criminal defense attorney defend his case. In cases of operating under the influence of alcohol, police can make a case based on the results of a BAC, regardless of other circumstances. Any amount of a drug in your blood is enough for an OUI drugs charge — but only if Massachusetts law makes it illegal to take the drugs in question before driving. The law specifically lists which drugs are illegal, but not every sedative, sleep aid or other drug police might frown on is on that list. If the drugs Kaizer is accused of taking are not on the list, an experienced Massachusetts intoxicated driving defense lawyer can make a strong case that the charges must be dropped. This is assuming that police even took a blood test showing Kaizer had the drugs in his system, something the article didn’t mention. You must remember that the prosecutor must still prove impairment caused by the drug, not just the existence of the drug in your system. A West Yarmouth woman was charged with operating her minivan under the influence of drugs last week after she allegedly caused a crash. According to a Dec. 12 article from the Cape Cod Times, Adrienne Musgrave, 34, was driving in the wrong lane before the crash. Annemarie Jones, 41, was driving her own minivan correctly in that lane when she saw Musgrave’s vehicle coming and swerved into the oncoming lane to avoid it. Musgrave swerved back into her lane and the two vehicles collided head-on. Jones, and a five-year-old child passenger in her minivan, were hospitalized in Boston in serious condition. The child reportedly sustained a head injury. Musgrave was listed in stable condition at a Hyannis hospital. She is charged with OUI with drugs, negligent operation of a motor vehicle and failure to stay in her lane. Depending on the circumstances, a drug-related charge may offer multiple avenues of defense for an experienced Massachusetts intoxicated driving defense attorney. Despite what many people assume, you absolutely can be charged with OUI for taking a medication that was legally prescribed to you, if that drug is illegal to take before driving. Massachusetts law specifically lists many drugs that fall into this category. However, the law doesn’t include every prescription drug that might lead to an intoxicated driving charge, even powerful painkillers and sedatives. If the prosecution cannot establish that it’s illegal in our state to take the drug at issue and then drive, it has no case. 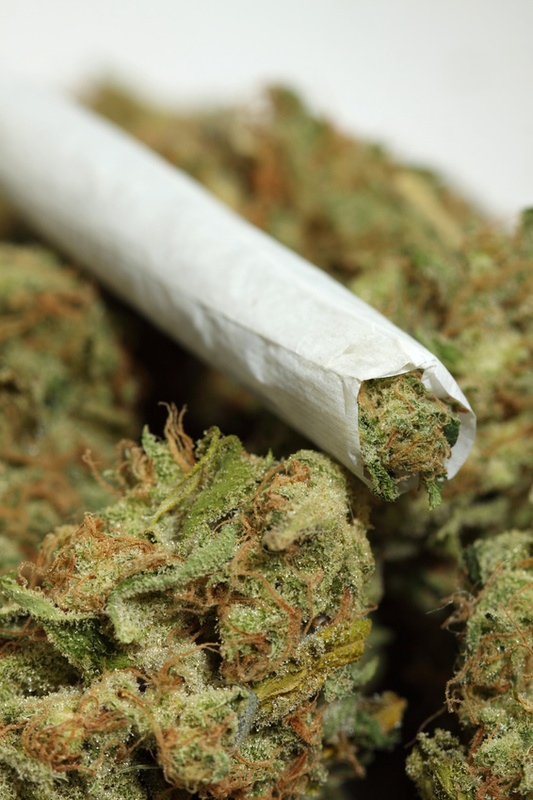 The defendant may still face charges related to illegal possession, but a good Massachusetts OUI defense lawyer should be able to get the OUI portion of the case dropped or dismissed. A Sutton, Massachusetts woman was arraigned in Worcester County District Court Dec. 2 for multiple charges related to operating under the influence. The Worcester Telegram & Gazette reported Dec. 3 that Lisa Delorto, 43, was charged with OUI-drugs, negligent driving, leaving a marked lane and possession of two drugs without a prescription. The RMV also revoked her driver’s license that day. The charges stem from a traffic stop Tuesday morning made while Delorto was working as a school bus driver, although there were no students on the bus. Witnesses said the bus was “all over the road” and crossed the center line several times. When law enforcement pulled Delorto over, officers said she was unsteady on her feet and failed field sobriety tests. Officers also found the prescription drugs hydromorphine (an opiate painkiller) and lorazepam (an anti-anxiety drug and sedative), for which Delorto did not have a prescription. At the arraignment, Delorto’s Massachusetts OUI defense attorney said she may have been very tired because she cares for a 22-year-old daughter who is frequently up all night with a chronic blood disorder called spherocytosis. I am glad Delorto has legal representation, because I believe a good Massachusetts drunk driving criminal defense lawyer could mount a strong defense in this case. The article does not mention that Delorto took a blood test showing that she was taking the drugs; it says only that these drugs were on her person. Possessing prescription drugs without a valid prescription (or another reason to carry them, such as bringing prescriptions to her daughter) is certainly illegal, but it does not make a person guilty of operating under the influence of drugs. Nor do field sobriety tests, which are notoriously unreliable because they are frequently difficult even for people who are stone-cold sober. However, driving while tired is unfortunately very common, especially among people who work odd or long hours. According to the federal Department of Transportation, drowsy driving causes 100,000 crashes and 1,550 fatalities every year. This could easily be the real reason for Deloro’s swerving — and if it is, a good Massachusetts OUI defense attorney should be able to prove that she is not guilty of intoxicated driving. A six-vehicle accident in Quincy triggered OUI charges against a 31-year-old woman in the evening of Nov. 18. Hayley Damp of Hingham is accused of reckless driving and operating under the influence of both alcohol and drugs in connection with the crash. According to the Patriot Ledger of Quincy, Damp rear-ended a Dodge while driving south on Washington Street. That crash triggered a chain reaction, with the Dodge hitting a Nissan Pathfinder that then hit a Honda Accord. Damp, meanwhile, turned across opposing traffic and into a parking lot, where she hit a parked and unoccupied car before driving into the front of a tire store. Damp had minor injuries; also hurt were 33-year-old Heather Gateley of Weymouth and 24-year-old Elizabeth Aiello of Quincy. Other victims’ names were not available. Officers said they found Damp carrying prescription drugs, as well as two bottles of wine, one mostly empty, in a cooler inside her vehicle. As a Massachusetts OUI defense attorney, I’d like to know more about the prescription drug police found in Damp’s possession. Many people don’t realize this, but it’s perfectly possible to be charged with operating under the influence of drugs in Massachusetts, even if the prescription is legal, as long as you are impaired by the drug while operating a motor vehicle. Painkillers, sleep aids and sedatives can fall into this category — but the laws of Massachusetts do not specifically say that certain drugs are illegal to use while driving. That means prosecutors often have to find experts to testify at trial as to the effects of the drug and a person’s symptoms while under the influence of the drug. If they do not, they risk an acquittal or dropped charges. I would also be interested in knowing more about the amount of alcohol in Damp’s blood. Many prescription drugs heighten the effects of alcohol. When drivers don’t realize this, they can drink what they believe is a safe amount, then find themselves more intoxicated than they expected when it’s time to go home. It’s not impossible for these drivers to end up with a blood-alcohol concentration below 0.08, the legal limit, and still feel the effects as if they had drunk more. Depending on the circumstances, this may offer another defense, at least in the hands of an experienced Massachusetts drunk driving defense lawyer. A woman was arrested in Harvard Square for operating a vehicle under the influence of drugs, the Cambridge Chronicle reported Oct. 29. Judith Zackman, 54, of Waltham, was involved in at least one minor accident around 8 p.m. on Oct. 22. According to the article, police responding to an accident on Mount Auburn Street stopped Zackman on Massachusetts Avenue near Harvard Square after witnesses said her car was being driven erratically and had hit parked vehicles on Mount Auburn Street and Memorial Drive. An officer reported that Zackman had trouble parking her car and seemed confused. After a search, officers found no alcohol in the car, but several half-full water bottles full of pink liquid as well as several prescription and unmarked pills. They also observed that she had trouble walking straight and seemed confused. After she failed field sobriety tests, they arrested her on suspicion of driving under the influence of drugs, on the basis of observations and the test results. As a Massachusetts OUI defense attorney, I wonder whether the police backed up their observations at the scene with a blood test. If not, the charges against Zackman could be very easy to challenge. 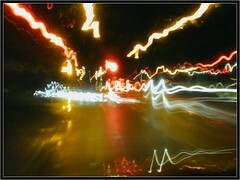 As I note on my Web site, field sobriety tests are notoriously unreliable as an indicator of drunkenness. Some tests are so difficult for the average person that they can generate false positives in people who are completely sober. Furthermore, certain standard tests have been invalidated by court rulings or regulatory decisions, and those that remain must be administered properly in order to be valid. A police officer’s observations are also subject to challenge in court, because of course they are subjective and do not amount to proof. And in cases like this, which involve prescription drugs, there may be mitigating circumstances related to the driver’s health or the unexpected effects of mixing prescription drugs. A good Massachusetts drunk driving defense lawyer should be able to raise all of these defenses at trial, or, if appropriate, use them as leverage to get clients a favorable and fair plea agreement. A 26-year-old Groveland, Massachusetts man was arrested on multiple charges after leading police agencies on a car chase in northeastern Massachusetts, the Georgetown Record reported Sept. 22. Scott Berube already had two outstanding warrants for operating under the influence of liquor, which the newspaper said were second and third offenses. Earlier on the day of the chase, he was also allegedly involved in a hit-and-run accident. Around 10 p.m., a police officer spotted Berube at a Haverhill, Massachusetts gas station, gave chase and called for backup. Once backup arrived, the officers tried to stop Berube by positioning their vehicles on either side of his. However, Berube drove directly at both officers, forcing them to jump out of the way. All in all, he drove through at least four towns before Georgetown, Massachusetts police were able to stop his vehicle with a device that punctured his tires. Berube fled on foot, leaving a passenger behind, but was caught with the help of a helicopter and K-9 unit. Police found several controlled substances in the crashed vehicle, including marijuana, Xanax, Percocet and acetaminophen with codeine. Both Berube and his passenger were charged with possession of those substances, with intent to distribute the marijuana and Xanax. Berube was also charged with DUI drugs, failure to stop for police, driving without a license and assaulting a police officer, among other charges, and the two outstanding warrants. Second and third OUI charges may sound scary, but a smart, experienced Massachusetts DUI defense lawyer can find multiple avenues of defense, depending on the circumstances of the case. For example, a charge of OUI drugs may be dropped if the defendant can show that he was not actually impaired, regardless of whether he took any drugs. But because Berube did not handle the earlier charges against him, he ended up fleeing the police and receiving a significant number of new charges. Now he will almost certainly need a good Massachusetts intoxicated driving lawyer to help sort through this tangle of charges and minimize the damage to his life and his family.